ICANN's strategic objective (Mobile Accessible [PDF, 408 KB]) of advancing organizational, technological and operational excellence means that we need to improve the skillsets, processes, and technologies through which we operate to deliver services to the ICANN Community and the public. We seek to develop a greater ability to meet the speed and scale of innovation happening around us and deliver with excellence in everything we do. The operating plans we develop and execute have key elements focused on evaluating what we achieve against what we planned. We identify both the strengths and areas for improvement in our execution. We use the EFQM Excellence Model to provide an overall framework for our continuous improvements efforts. EFQM is recognized globally as the guardian of a premier excellence model and award process. 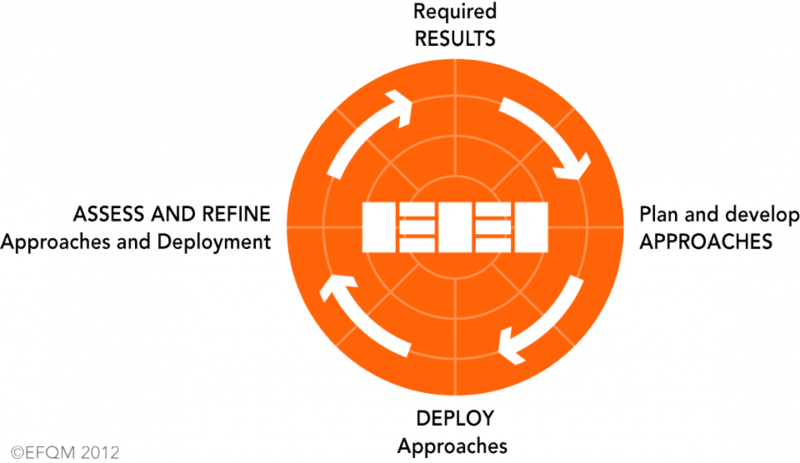 The EFQM Excellence Model provides mechanisms for the holistic assessment of an organization. These assessments help us improve the way we work, so that we can deliver better results. ICANN also uses other mechanisms to make sure it continuously improves in specific areas. Examples include the frameworks used for reviewing ICANN's execution of the IANA functions, the framework for other IT systems, and the audit used for financial management. Continuous improvement relies on continuous assessment and effective assessment relies on timely, reliable and accurate results that are appropriately scoped and segmented. Through our Five-Year Operating Plan [PDF, 480 KB] and annual Operating Plans and Budgets we set out the performance targets we try to reach. We measure our actual performance indicators and report on them through our public Dashboard.